Stage designer and graphic artist. 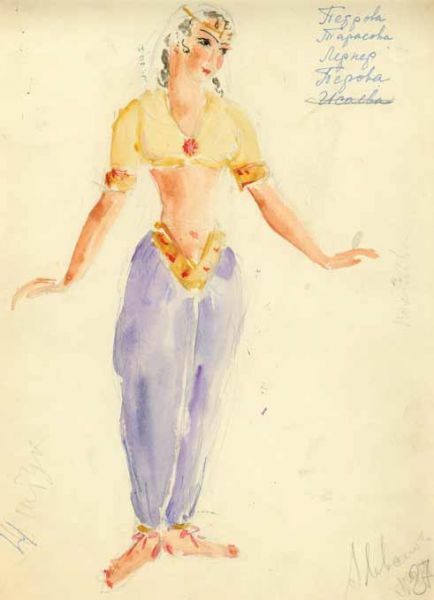 Much worked on costumes design to theatrical sceneries. Created decorations to such performances as "October" by V.M. Muradeli and "Pagliacci" by R. Leoncavallo. Theatrical costume. 1)Odalisque 2)Servant 3)Warrior. Technique: 1)Paper, pencil, water-colour, ink. 2)3)Paper, pencil, water-colour.